I need to preface this by saying I'm not going to sugarcoat things in this blog post in order to "be nice" for a few reasons which will come clear within this blog post. To become a professional makeup artist it takes work, dedication and knowledge as well as talent and the skills to do the job. This is a SERVICE industry those who work in this industry are "the help" (as Kevin James Bennett once stated). Your job is to make someone look pretty, grungy, haunting or whatever the job requires you to do. It is not a ME job unless you're a social media personality whose job is to shill products on behalf of a company that they work for or with. This industry unfortunately is not regulated. For those in the US only a handful of states actually require a person to have a professional license (cosmetology license, esthetician's license) in order to do makeup. Almost ALL states require a cosmetology license to touch hair however if working on a movie set and you're freelance it's not required but that's a whole other discussion. If you're a Union makeup artist basically you need to pass a test for color blindness. If you're a Union hairstylist you are REQUIRED to be a cosmetologist. Now if you're in the movie/tv industry as a freelancer well that's a whole other story but suffice it to say a professional license is not needed. (Don't confuse a professional license with a business license, two different things for another discussion.) As a result there are more and more social media personalities on Facebook, Instagram and YouTube who claim to be a "professional makeup artist" and they're not. There are many branches to the makeup artistry industry and many roads to take to become a REAL professional makeup artist. Many of the industry leaders are self taught or are from a makeup dynasty like the Westmore family and many have gone to an ACCREDITED school such as Make-Up Designory, Cinema Makeup School, Vancouver Film School. Depending on which area a person wants to go you can apprentice (assist) an established makeup artist, you can start your own business or you can start at a counter and work for a specific makeup company like MAC or Bobbi Brown. 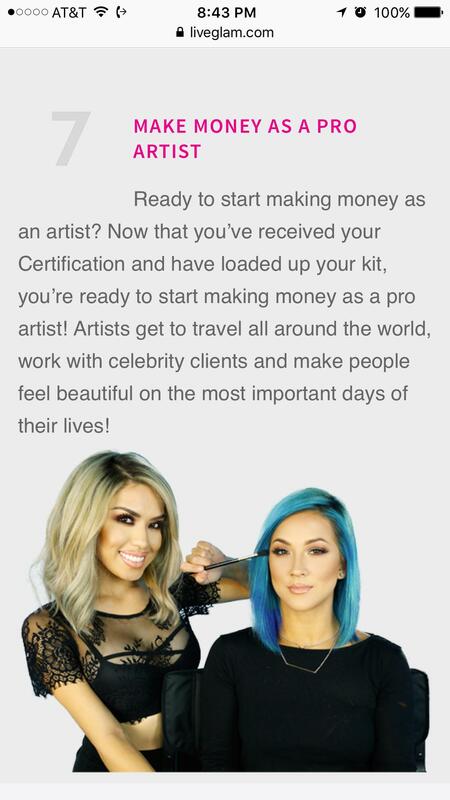 There is no right way in becoming a professional makeup artist but there is a WRONG way and that's to take "courses" from sites like LiveGlam or take "seminars" by people like Esther Romo who have no business handing out "certificates" that mean nothing to industry leaders or companies. LiveGlam recently launched within the last couple of months and yes industry pros and working makeup artists have been discussing it and the warnings to those new to the industry have been going out. It's essentially a scam. Why is it a scam? For a plethora of reasons which I'll get into more detail shortly. But if you've been thinking about shelling out $295 per YEAR for their "Certification" to get discounts from companies like Temptu, OPI, Naimies, MAC, etc, etc... SAVE YOUR MONEY! In order to get started you pick from one of the LiveGlam "coaches" which include Patrick Starrr, Karen Gonzalez, Lara C Kay and Maya Mia. From there you get a "kit" that they'll send you so you can use those items possibly in conjunction with the videos. 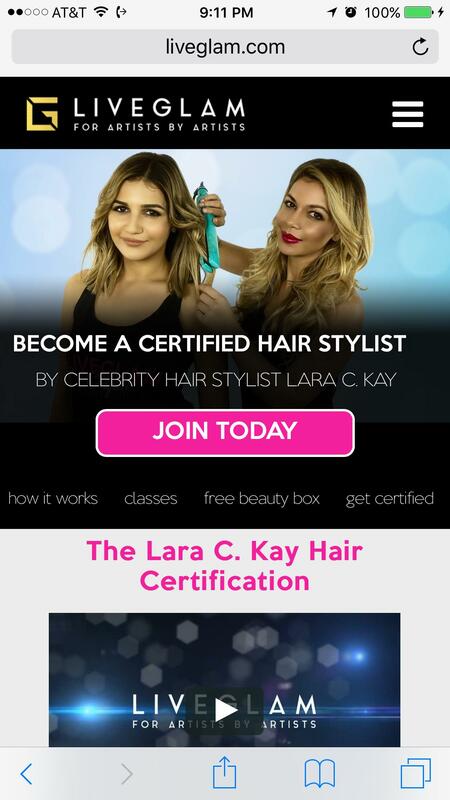 Let's say you pick Lara C Kay, who is a licensed cosmetologist in the state of California where LiveGlam is based, and at the end of the course you "become" a "certified hair stylist". Can we say SCAM? As I mentioned before, almost all states in the US (see laws in your country if you're outside the US) requires a person to go to COSMETOLOGY SCHOOL in order to touch hair on a client. Her "classes" touch upon NOTHING that is taught in a cosmetology school. 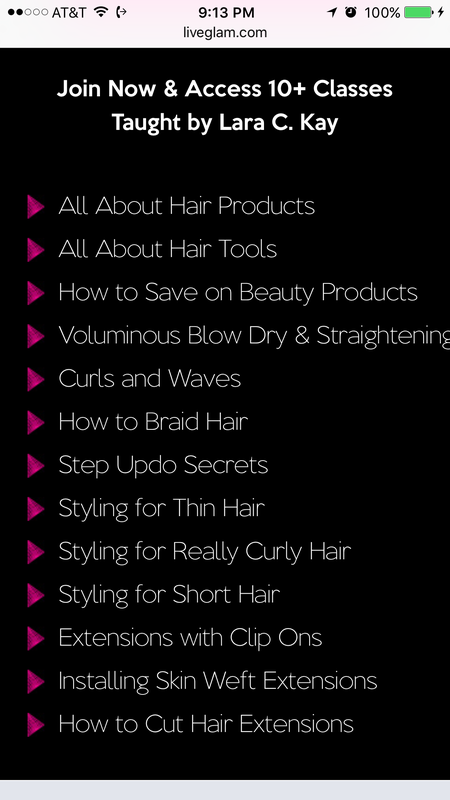 There is nothing there about sanitation, contagious diseases and parasites, anatomy, hair types and textures, absolutely NOTHING taught to make you a legitimate, professional hair stylist. Since Lara is licensed cosmetologist but does not appear to be a licensed cosmetologist instructor she could possibly lose not only her cosmetology license but her salon's license if the California Board of Cosmetology deems what she's doing as illegal. 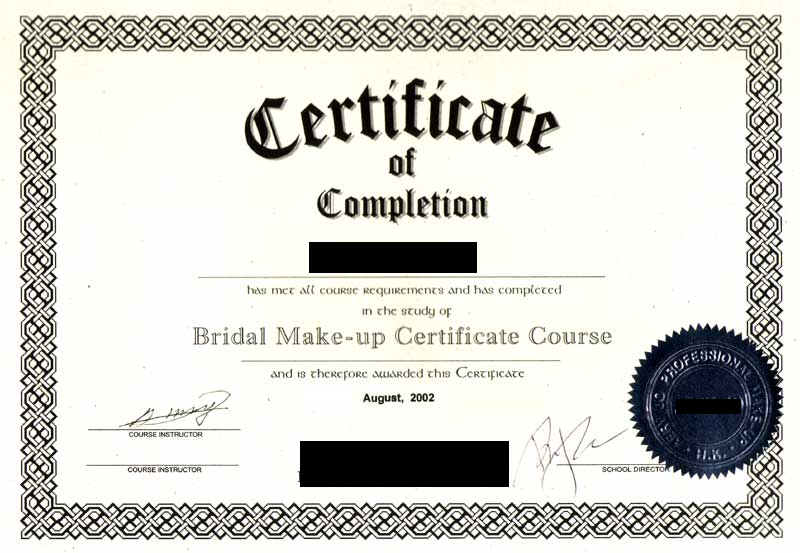 In regards to the makeup artistry part of the "courses" with the "coaches" essentially you watch a series of videos with the "coach" you picked and take "exams" and upon passing get your certificate proving you're a professional makeup artist. If it was only THAT simple in real life. 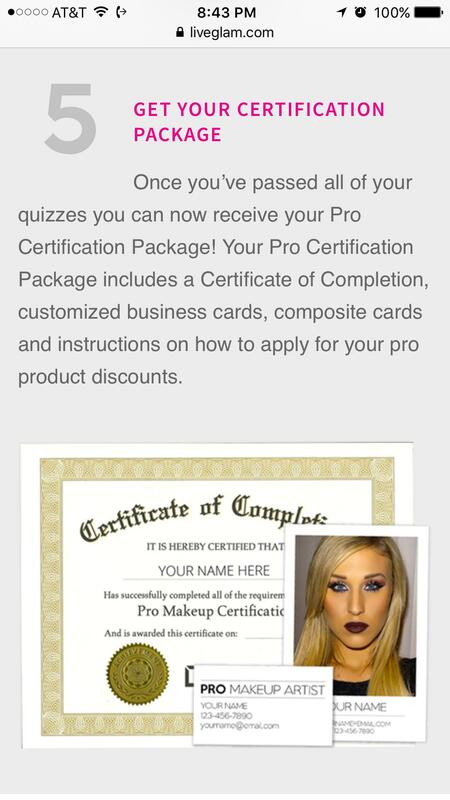 Once you "pass" their quizzes - which looking at the "classes" taught don't seem to include the basics a professional makeup artist should know - they will send you a package with your "pro certification", business cards, composite cards and instructions to apply for pro discounts. Whose composite cards are they using because composite cards are to showcase YOUR PROFESSIONAL work. The images are to be of models or clients you worked on and it's to showcase your BEST work. So whose composite cards are they sending to you? If it's their work or stock photos trust me the folks that approve the pro accounts at many companies and at Make Up Artist Magazine are not fools and are not stupid. I know too many folks at various companies and am told stories almost on a daily basis from someone trying to get a pro account/card from them. Try to go this route and you could find yourself blackballed in the industry effectively shutting you out from the REAL industry. You might fool those who don't know better but trust me, the folks that work and care about this industry will know. Now let's talk about pro discounts. If you're only signing up for these "courses" for the certificate and "package" to get discounts like I said above, the folks that approve accounts are not fooled. I know for a fact that Frends Beauty, Camera Ready Cosmetics, Nigel's Beauty Emporium, OPI and Make Up Artist Magazine will NOT accept this certificate as proof of being a professional. 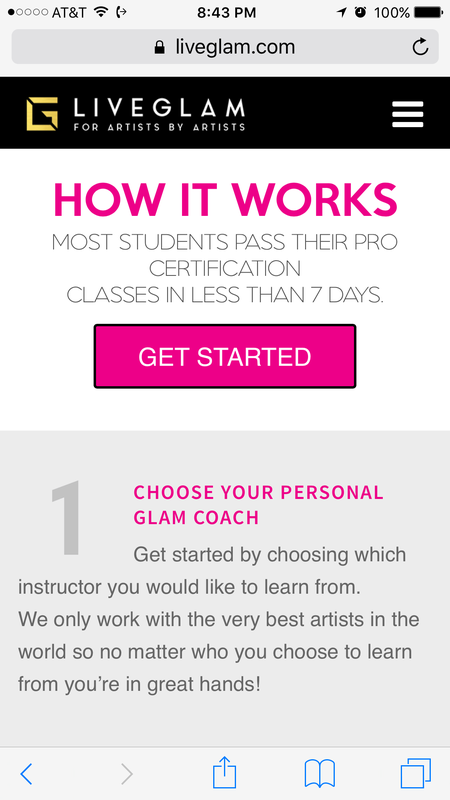 I'm still waiting to hear back from the companies listed on LiveGlam's site if they are accepting the LiveGlam certificate as proof as being a professional makeup artist. I will be shocked if any company - other than Gerard since the owner is supposedly friends with Patrick Starrr - accepts this certificate. In regards to them stating that with their certificate you'll be ready to start making money and traveling the world, working on celebrities and having a loaded kit. Uh huh. Let's get into the nitty gritty about being a REAL makeup artist. A real makeup artist has spent time crafting a professional kit filled with professional, high quality grade cosmetics. They will have invested hundreds and even thousands of dollars on brushes alone and not those cheap $30 sets from China but high quality brushes. They will have invested in thousands upon thousands of dollars on products for their clients from not just companies like Urban Decay or Temptu or MAC but from professional lines like Viseart, Ben Nye, Kryolan, RCMA, FACE atelier, Wolfe FX, I could go on and on. They'll even invest on foreign brands like Orlane, Embryolisse, Le Mer, Talkia and so many other super high end products for their clients. You'll even find drugstore items in a pro's kit however unlike most people a real pro will know what to buy and what not to buy like a bottle of Seabreeze to cool off a client who is going through menopause or aloe gel to mix in to create sweat or even mud. I know makeup artists who carry to their job giant cases filled with products because they're going to be on set for the next six months to a year. I know some who are condensing their kits because they've been in this industry long enough to know what they will need and won't need and how to improvise if they don't have something on hand. The other thing about a REAL pro versus someone taking an internet class is that a real pro works on a wide variety of clients from the Snow Whites to the most beautiful black skin that it radiates blue. If they don't have a color on hand then they know their color theory to mix products to get the color they need. They will know how to hide a port-wine stain (birthmark), rosacea, acne and without leaving the client looking like they're wearing a caked on mask. You can't learn that from watching someone else do videos, you need to be hands on. Save your money and skip the LiveGlam scam classes because you'll simply be out $300. If you EVER want to take a class with a REAL professional many actual industry artists like Melissa Street, Kevin James Bennett, DeShawn Hatcher, Sonia Roselli, Erica Carr and so many more DO offer classes though the year. These classes can be seminars and they can be hands on. Find a HANDS ON one because you'll learn the most for those but make no mistake the industry pros that teach you will tell you that they don't offer certificates since certificates are meaningless in this industry unless its from an accredited school. Those can range from a few hundred to a few thousand but you're getting extra training from REAL professionals with some who have little gold statues like an Emmy or Oscar. Also check out Periscope because lots of these industry pros are doing Scopes discussing the REAL industry and sharing things that social media personalities on Instagram and YouTube simply don't know. If you really want to become a pro then start working on other people's faces. If you have to offer your services for free while you learn then do it but what ever you do don't under cut the community with cheap prices like $25 bridal faces. Get your siblings, your mom, your aunts, uncles, parents, the next door neighbor and do their makeup. Offer your services to a local photographer for trade-for-pics (but still have a contract in place so you actually GET photos that work for your portfolio) if you have to. Learn how to properly sanitize your brush in between clients and how to work on different skin tones and textures. Build your kit with QUALITY products and many can multitask if you know your products.Get your business license, your liability insurance to protect yourself, your stuff and your clients from things like theft to damages to even injuries. Apprentice with another artist. Assist another artist. Get books to study looks from the past. Get books to learn about the industry - a favorite of mine is DeShawn Hatcher's "Assisting Rules". Get magazines and practice replicating those looks. You don't need LiveGlam or any other class from these social media personalities to become a real makeup artist if you want to become a real makeup artist!